Informed Opinions amplifies women’s voices for a more democratic Canada. We work to ensure diverse women’s perspectives and priorities are equitably integrated into Canadian society. We motivate and train women to make their ideas more accessible to a broader audience and increase their impact. We deliver dynamic, interactive and practical workshops, engaging presentations, and professional editing support. 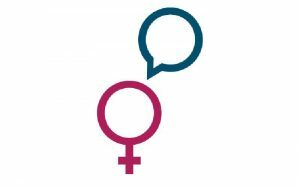 And now, through Informed Opinions’ Expert Women database we’re making it easier for journalists, conference programmers and others to find diverse women able and willing to offer commentary on a wide range of issues. Women constitute more than 60 percent of university graduates and hold senior positions in many industries. Their visible leadership – as provincial premiers, university presidents, national news anchors – speaks to the gains made in recent years. And yet women’s perspectives still remain seriously underrepresented in public discourse. Recent research has found that women’s voices make up only 29% of those being heard on the air or quoted in print in Canada. That reflects a mere 7% shift in the past two decades. The absence of women’s insight undermines democracy and denies Canada access to the analysis and ideas of many of its best and brightest. Qualified sources sharing context and ideas through the news media can have a significant impact on society’s policies and priorities. Their informed opinions can help to shape public attitudes and determine how governments spend tax dollars. It is also clear that those organizations and countries making effective use of women’s contributions are more competitive overall, and enjoy a higher quality of life. Our goal is to ensure that women’s perspectives and priorities are equitably integrated into Canadian society. You can help. Join the database, sign up for the journalists’ mailing list, or donate. Media Action (previously MediaWatch) is a national, non-profit charitable organization that has been using research and education to advocate for the improved portrayal and representation of women and girls in the media since 1980. In 2010, former longtime president Shari Graydon founded Informed Opinions as a project of Media Action with the aim of bridging the gender gap in Canadian public discourse by 2025. Since 2010, Informed Opinions has helped amplify the voices of more than 2,500 women across Canada, supporting them in sharing their insights and analysis with a broader public. Although Media Action remains the legal name under which we can accept and issue receipts for charitable donations, Informed Opinions constitutes our operating identity.